Endpoints refer to the various devices which can connect to a network. Like laptop, smartphones, tablets etc. And endpoint security refers to the security system employed to safeguard the network from the security risks posed by these devices or endpoints. With the introduction of BOYD (Bring Your Own Device), endpoint protection or security has gained immense importance. Mobile threats have increased as the mobile workforce has expanded. Endpoint security software is much more than a centralized security solution which offers an extra layer of protection at the endpoints of the network. Now let's take a look at what sets endpoint security software apart from the regular antivirus. How Does Endpoint Security Work? Endpoint Security is the methodology of protecting corporate networks by securing all endpoints and endpoint devices that are used to access the networks. Any device that's used to connect to a network, including mobile devices, laptops, wireless devices etc, would create potential entry points for malware and all kinds of security threats. Endpoint Security units consist of centrally managed security software plus client software, which would be installed on endpoints/endpoint devices. Comodo's VirusScope technology helps analyze unknown files at the endpoint, for malicious behavior and actions. Comodo Valkyrie provides a cloud-based accelerated verdict in about 45 seconds. This is based on static, dynamic and human analyst interaction. Malware files get removed while good files are allowed to run on the endpoint CPU. The unknown files are contained in the lightweight virtual container on the endpoint; they would be subjected to real-time analysis as well. It just takes about a minute to provision Advanced Endpoint Security and it uses very less of CPU resources; it requires an endpoint footprint of just about 10 MB. Comodo Advanced Endpoint Security assures total security for all kinds of endpoints- physical and virtual- for all kinds of enterprises. Comodo Advanced Endpoint Protection provides complete protection against zero-day threats through its Default Deny Platform. Comodo Advanced Endpoint Protection provides complete security for physical and virtual endpoints. The lightweight, scalable platform offers outstanding default deny security with default allow usability. It combines a unified IT and Security Manager (ITSM) console, an automated unknown and advanced threat container (Comodo Client), and the Valkyrie cloud-based advanced malware analysis platform. Default Deny Platform – a lightweight, scalable platform that blocks bad files and uses unique containerization technology to automatically contain unknown files in a virtual container. VirusScope – a technology to analyze unknown files for malicious behavior at the endpoint. Comodo Client – prevents, detects, responds and remediates both known and unknown advanced threats by leveraging a patent-pending automated container and a multi-layer, modular approach. ITSM – a unified console that provides the status of all devices and their security. Administrators will have real-time visibility for effective and secure device management. Valkyrie – a cloud-based advanced malware analysis platform that provides static, dynamic and expert-human analysis of all the submitted files. Both have the same objective: to secure your PC(s). The difference lies in the level of security they offer. As is apparent, endpoint security solutions offers more protection, as they are responsible for protecting an entire organization's network. 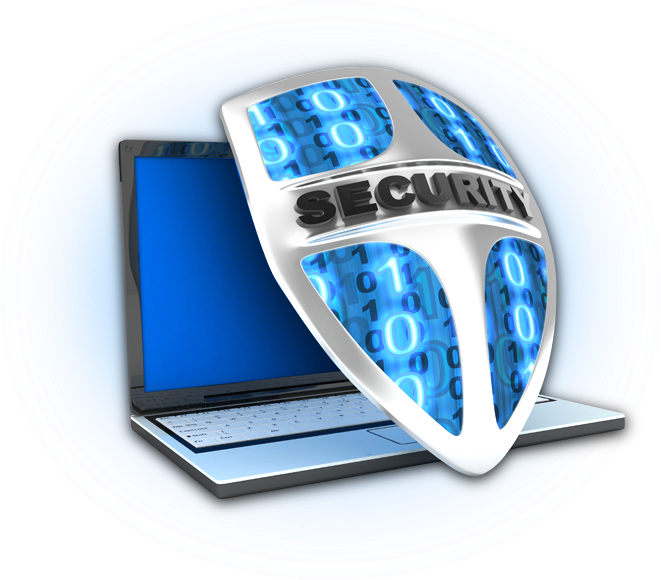 While antivirus software offers only minimal protection by safeguarding your PC(s). Endpoint security solutions also offer high-end security features like application whitelisting, network access control, endpoint detection and response etc., which are usually not a part of antivirus package. Another major difference is that endpoint security tools usually implement a two-pronged approach, with security software being installed on the central server as well as on the individual device. Comodo AEP is integrated with Comodo’s Specialized Threat Analysis and Protection (STAP) engine which provides an Accelerated Verdict of the unknown files, sorting them into known good, or known bad. The extremely lightweight automated containment technology based on patent-pending CPU-enforced OS virtualization technology contains all untrusted processes and applications in a secure virtual environment, where they are analyzed in real time. The Default Allow Usability feature ensures that it has no impact on end-user experience or workflows. The unique containment technology ensures that unknown files are kept in containment for the shortest time compared to any other solution on the market. Further, unlike other containment solutions, Comodo’s automated containment technology is application agnostic.